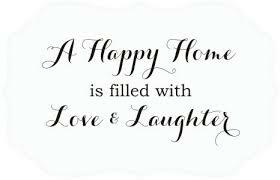 In my previous blog, we had touched on the fact that living and enjoying your home while disabled can be one of the most challenging aspects of daily life. Common tasks like making a sandwich for lunch or going to the bathroom can not only be exhausting, but also straining on moral. Last time, we spoke about ideas that could be implemented for the kitchen and bathroom that would make common tasks for a disabled person a little easier. Today we will talk about ideas that are not so much “room specific” but more for the general layout of the home. Remember, by applying these ideas to your home is a great start in turning tedious chores to moments of enjoyment for you and your family. Accessibility throughout your home is a huge hurdle for a person with disabilities. 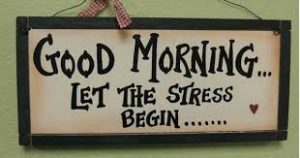 Picture your morning routine as you get ready for the day. How many trips from the bedroom to the bathroom do you make? How about from the kitchen back to the bedroom when you forget something? When it comes to my morning routine, the fly on the wall must think I’m a pinball, rapidly bouncing from one side of the house to the other, running from the upstairs to the basement and back. A person who depends on a walker and/or wheel chair can still go through this same process, but it takes much more energy and time. Doorways and hallways are one area to always consider. In a perfect world, doorways should be 36 inches wide or larger. This will allow for enough room to move comfortably without getting hung up on the door jamb. A 32 inch wide door would still work as an absolute minimum if there is no way to install a larger door, but the doorway will have minimal room to maneuver. This same premise goes for hallways. While most hallways are at least 48 inches wide, the bigger the better. There are some alternatives if there is no room to install a larger door. 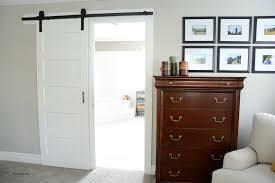 Installing wide throw hinges or swing clear hinges will help add space. Completely removing the door and frame might be another option. Install drywall or select wood where the frame was to give the opening a finished look. For areas where privacy is needed, such as a bedroom or bathroom, a curtain or screen is a quick and easy fix. If the dimensions and conditions of the wall allow, a pocket door or sliding barn door is a more appealing solution. Replace any traditional style door knobs with lever handle pulls. Ever try to turn a door knob that is round when your hands were greasy or wet? How many times did the knob snap back to its original position? What level was your frustration? Even though this ordeal has probably happened to you once or twice, it’s a daily problem for people with disabilities. Something as simple as a lever handle will solve this issue. Most homeowners don’t have an intercom system installed at their home. A cheap alternative to look into (no pun intended) is installing the peep hole at a lower height on the exterior doors. Keep the height of the exterior door thresholds at a minimum to reduce the trip hazard risk. Moving from one area to another in your home can be a challenge, even if it’s on the same floor. How do we overcome the obstacle of moving up or down to another level of the house? Once installed, a lift is an excellent means for a person with disabilities to go up and down stairs. There are different types depending on your needs. A chair lift will fit one person, where as a platform lift will fit a person with a wheelchair. For smaller vertical rises at the home, such as a step or set of stairs at the front door, ramps are the best answer. 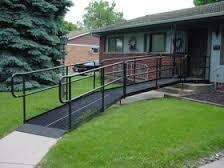 A long term solution is a ramp that is built in place, per ADA standards. If a permanent ramp is not within your budget or won’t be needed within the foreseeable future, a portable ramp is the next best thing. This style of ramp is great for smaller vertical rises and is inexpensive. Not only is it great for around the house but most portable ramps fold up for easy transportation. No matter what style of ramp you decide to use, a sense of freedom comes with both options. Gone are the days of being stuck in the house. Now there will be the ability to enjoy the yard, say hello to the neighbors, and just enjoy the outdoors!